Integra is 15 years old company promoted by a group of enterprising Information Technology and Accounting professionals during the closing years of the last century. The effective work of Integra resides on collaboration and teamwork between all its members. 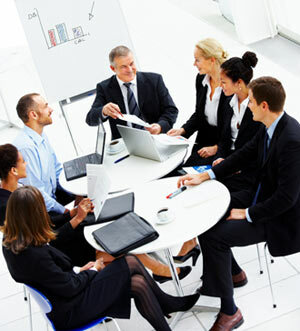 Integra's executive management is a team of seasoned professionals, with a long track record and proven success. The experienced senior management team of Integra blends significant experience and expertise across a variety of software technology and enterprise business. Throughout years of growth, owing to investments into training, scrupulous selection procedures, competitive benefits and appealing career possibilities, we managed to assemble a team of motivated, loyal and highly skilled IT professionals. Integra's top management to the base level employee are united by an unwavering integrity and a strong sense of commitment towards our clients. The team strives to achieve enduring impact on both our clients and society.A positive and upbeat workplace culture where projects are tackled passionately and employees are treated respectfully. This is what you will experience at Integra.